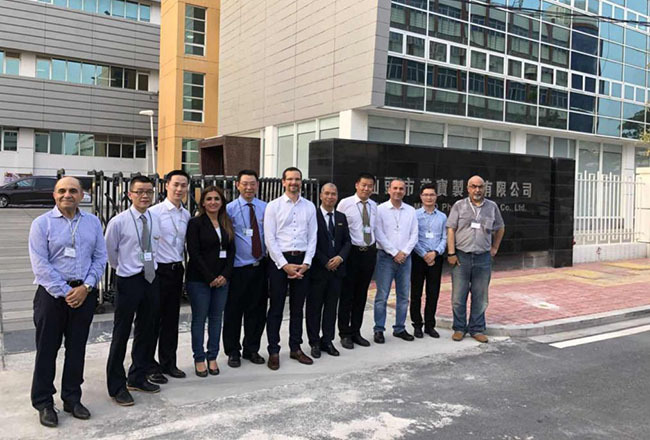 On the morning of May 2nd, 2018, Jerome Carle, General Manager of Julphar Gulf Pharmaceutical Industries led his 6-member delegation visited Shantou MEBO Pharmaceutical Co., Ltd.
Julphar, the largest pharmaceutical company in the Middle East, is invested and controlled by the UAE Royal Family. The strategic partnership between MEBO Group and Julphar began in the 1990s. In 1996, the board of directors of Julphar visited Beijing, and the two parties formally established a cooperative relationship. MEBO Group gave Julphar authorization to sell MEBO burn ointment and other products in the Middle East. 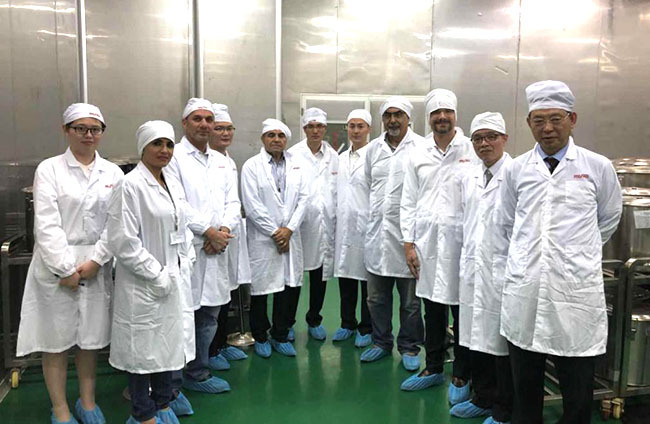 The meeting between Shantou MEBO Pharmaceutical Co., Ltd. and Julphar Gulf Pharmaceutical Industries in UAE has a milestone significance on the road of MEBO's overseas strategic business cooperation.